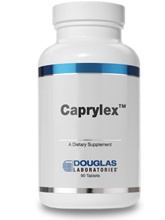 Recommendations: Adults take 4 capsules daily with food or as directed by your healthcare professional. In healthy people, the intestinal microflora consists of balanced amounts of symbiotic microorganisms, providing nutritional benefits to the host. This balance depends on our dietary habits and can easily be disturbed by unhealthy diets or drugs, such as antibiotics. Under these conditions, opportunistic microorganisms, such as the fungus Candida albicans, can colonize various body parts including the small and large intestine. If harmful microorganisms proliferate, the equilibrium is disturbed, and it becomes difficult even for indigenous bacteria to maintain their necessary territory. Herbs and other natural food components may help to support the body in maintaining a healthy microbial balance. 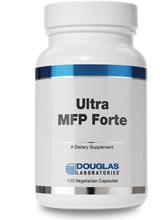 Supplement for those who wish to support a normal microecology of the intestinal microflora. 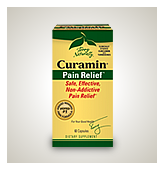 Other Ingredients: Hydroxypropyl methylcellulose (capsule), vegetable stearate, dicalcium phosphate and silica. Those taking statin drugs, Warfarin (coumadin), and other grapefruit interacting drugs should be cautious, as grapefruit may interefere with drug metabolism. Pregnant woman should avoid this product.